Damen Shiprepair Amsterdam is a ship repair and conversion yard located on the west-side of the IJ-river. This river runs through the middle of Amsterdam (Netherlands). The yard is part of Damen Shipyards and has a leading position in shipbuilding; they have more than 6,000 employees and a presence in over 35 countries. Their Amsterdam location now has more than 80 permanent employees and hires up to 200 temporary workers through agencies. Simply Translate was commissioned to translate the Health, Safety and Environment policy plus questionnaire that anyone entering their premises for work is to read, complete and sign. Due to the steady stream of temporary workers of a vast number of nationalities it is imperative that this information, much of it technical or sensitive, is available in languages they understand. 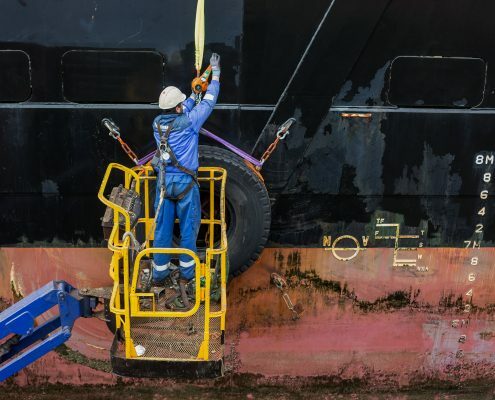 Therefore, Damen Shiprepair Amsterdam requested their new policy and questionnaire to be translated into English, Croatian, Hungarian, Lithuanian, Polish, Portuguese, Romanian, Russian and Turkish. Simply Translate assembled a team of native-speaking translators with in-depth knowledge of industry terminology. The text was first of all translated into English. This is the leading language in the shipping industry. Subsequently we translated the texts to the rest of the requested languages. As a result we kept the translating process as cost-efficient possible, and at the same time guarantee our most experienced translators carry out the job. 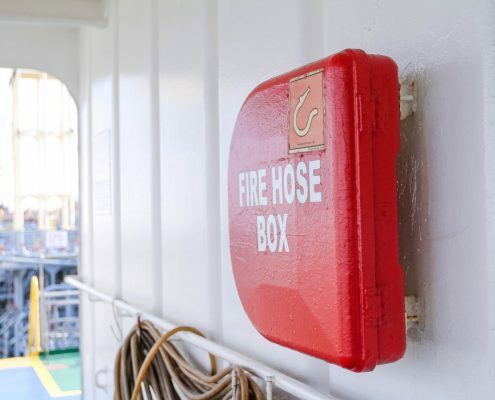 This working method resulted in an unambiguously translated safety instruction and questionnaire in various languages, that Damen implemented directly. Due to having ample time for this project, the translators had enough space to interpret the texts properly. As a result, our client received clearly translated texts that do not allow for any confusion to anyone reading the instructions or taking the questionnaire. Do you need a specialistic translation? Send us a message and we can discuss the possibilities.